Within the past 10 years, online stock trading has exploded onto the investment scene, not only offering the average Joe the opportunity to try his luck on international stock markets but also potentially providing more efficient trading tools for large investors. Whether you have just a few hundred quid burning a hole in your pocket or you have tens of thousands of pounds available to you, there are a wide range of online products in this category aimed at linking you up to international markets using the latest communications technology. In the past, stock trading was restricted to the exchange floor or telephone dealing. Today, however, IT and internet technology provide live prices, expert advice, a wealth of information and instant order execution to everyone from the comfort of their own homes. With a click of your mouse you can become the proud legal owner of almost any financial product while not having to worry about the paper work. This works by your broker being your nominee, rather than as holding paper certificates, and your holdings are stored electronically, making them easier to access and trade while retaining your privileges as a shareholder. How Do We Compare And Contrast These Online Trading Sites? Before you delve into the world of online trading, we have a few tips to share. We’ve explored some of the best online stock and Forex trading sites around, comparing and contrasting what they have to offer their clients. Whether you’re looking for long-term investments (to save for pensions or university tuition, for example) or hope to turn a quick profit with instant buying and selling on live markets, there’s plenty to choose from. Our reviews provide you with a star rating so you can easily see the benefits and pitfalls of each site. You can also view the range of features available, which have been put in place to make trading easier and smarter. Finally, we offer you our editor’s verdict on each site, highlighting the ins and outs of each trading website, as well as our opinions on the site and who it would most benefit. Trading opportunities: There are all sorts of different buying and selling approaches to consider when trading online. Perhaps you’d like to trade different currencies (Forex markets) or invest in oil and gas (Commodities markets). If you’re interested in business, you can also buy stocks and shares in your favourite companies, or put some money into groups of companies from a particular country (Indices investments). If you’re looking for a specific market, such as currencies, there are sites which will specialise in that. Often, those sites offer features and trading platforms which are specially designed for those particular markets, so you will have a better degree of control and understanding of your assets. Meanwhile, if you’d like to try your luck on a variety of products, you may want to look for a website which scores highly for trading opportunities. Value for money: It can sometimes be difficult to discern how much you’re going to be charged for trading online. Some websites charge a standard fee per trade, which makes them better suited for long-term investments, generally speaking, because you won’t spend all your profits on buying and selling each day. Other websites will take a small cut of your profits, but won’t charge a large fee per trade. A few of the sites we’ve reviewed will also offer bonuses on your deposits, which often increases if you add more credit to your account. Competitions are also available, and you can sometimes earn money if you allow other traders to copy your actions. If you’re not sure how much you’re going to earn or spend, it’s worth contacting the customer support teams, who will offer some guidance on your investments. 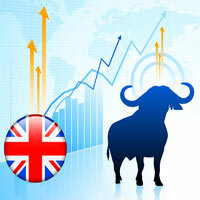 Features: Online stock and Forex trading websites offer plenty of useful features to help you trade online. We examine the trading platforms they offer, which are used to help you manage your trades, or to buy and sell. We also consider the additional features, such as trading calculators, graphs and customisation options, and provide some details on the best and most unique features on each website. If you’re looking for a particular tool, such as a calendar of important economic dates, take a look through our list of features to see if the website provides it. Ease of use / navigation: In the fast-paced, high-octane environment of online trading, mistakes could be huge. That’s why it’s so important that the website and trading platform you use is accurate, quick and user-friendly. The best sites will offer several platforms to choose from, with customisation options. If you’re just starting out, you may wish to opt for a site which helps beginners, with a simpler platform so you’re not overloaded with complex trading information. If you’re a more experienced trader, look for sites which provide in-depth trading platforms to suit your needs. Market information: Trading isn’t (or shouldn’t be) gambling. Good trades are calculated, considered investments. As such, you’ll need to know about the history and potential future of your investments so you can buy when prices are low, and sell when they’re high, thus (hopefully) resulting in profit! Many of the sites we have reviewed will offer expert advice, but you can also look for websites with forums where traders share tips and talk about techniques and ideas for future trades. Live information is very important, particularly in short term investments, so make sure you understand what’s going on before investing. Trading advice: This is linked to market information, somewhat. If you’re new to trading then you might consider a website which offers plenty of trading advice, or one which allows you to mimic the trades of other users. This allows you to potentially profit from a trader with lots of experience, without having to do all the research for yourself. Again, forums are a good place to pick up tips and share ideas, and several websites also offer one-on-one or webinar training, if you’re interested in learning the specifics of online trading. Customer support: Generally speaking, online trading websites tend to offer high quality customer support. You’ll often find instant chat features, through which you can talk to a member of the support team. The best sites provide plenty of information on their options, as well as details regarding terminology, plus articles from experts. If you’re not sure what something means, it’s important to find out, so FAQs and other informative pages can be really helpful. Due to the wide range of investors in this market, there are consequently many different products to match individual needs. Each online stock trading platform is different, offering a unique combination of features at various prices in order to satisfy the wide range of consumer demands in this market. We cannot stress enough the importance of taking your time when deciding upon which online stock broker you choose when investing your money. Although some of us may be trying our luck on the markets with a few hundred pounds, others may be investing their life savings in order to secure themselves a comfortable retirement or a university education for their children. Every broker you visit is legally required to notify you that trading stocks and shares is a gamble and your investments may just as well go up in value as down, the higher the risks the higher the potential benefits and the higher the potential losses. Different investors will be looking for different levels of risk and there are certain tools available to manage this. Leverage is a way of increasing risk - you effectively borrow money when making a purchase. For example, buying gold at a leverage of 1:20 will entail that both losses and profits will be multiplied by 20 upon selling. More risk averse investors have several tools available to them to minimize risk. Setting stop limits will automatically sell your stocks when they hit a certain price meaning that if there is a sudden crash in price you will be protected. Likewise, diversifying your portfolio will minimize the impact of market fluctuations, reducing risk but also potential profits. Finally, building up your portfolio slowly but steadily will enable you to keep on top of the markets through a careful, reactive investment strategy. Different brokers offer different price plans to facilitate different investment strategies according to the level of risk you are looking to run. Day trading sites offer low transaction costs and spreads allowing investors to make frequent transactions on a largely speculative basis. With a finger on the pulse of the markets, this type of trading is all about getting on board when a stock is on the up and jumping ship when it begins to fall. This way, taking advantage of the high leverage offered by many day trading sites, investors can make large profits in a small amount of time. However, this type of trading requires a high time commitment and a strong understanding of the markets; without these attributes you will probably find yourself simply losing a large amount in a short space of time: certainly not the ideal investment outcome. Despite low spreads and commissions, this type of trading will still require a medium to large initial investment, as high trading volume will invariably entail high transaction costs which will cancel out most of the profits from a small investment; in fact, there is a direct correlation between transaction costs and trading volume - generally, the more you trade the cheaper it will be for you. Traders looking for more long term investments should consider brokers that may offer slightly higher regular transaction costs but also a share builder option which allows you to make purchases of shares for as little as ₤1.50. Share builder schemes entail a broker buying shares in bulk on behalf of their clients, thus passing on savings to the customer. The downside for you is that the purchase will be made at a time and date selected by your broker and you will pay their quoted price regardless of future price fluctuations. However, the price of a share may also increase after you have agreed to purchase at the quoted price, which will mean savings for you. Overall, you will be sacrificing a certain amount of flexibility in exchange for reduced transaction costs. Day traders and experienced investors may be able to use this flexibility to increase their profits more than the potential savings made through lower transaction costs, but the rest of us should take advantage of these schemes. It must be remembered, however, that transaction costs still remain at around ₤10 when selling shares bought within a share builder scheme, hence transaction costs still remain linked to trading volume; a diverse portfolio will entail less risk but a higher trading volume and hence higher costs, while a concentrated portfolio will reduce transaction costs but is like putting all your eggs in one basket. Within this category, trading costs will average out as follows: spreads starting from 2 pips on standard currency pairs; ₤10 commission on purchases of shares; ₤1.50 commission on shares purchased within the share builder scheme. Some brokers will charge monthly or annual admin fees, usually in exchange for lower transaction costs; whether this will entail a saving for you or not will depend on the amount you are looking to trade. We would recommend that you sit down and work out your projected trading volume, investment size and risk level before choosing your broker. Many brokers offer free demo accounts which are not only a great way to check out their platform but will also be a great way for you to find out how you trade and hence which broker will be best for you. Finally, if you wish to pursue several different trading styles then you are always free to use a number of brokers to satisfy your needs. Charts: A wide range of features are on offer from the providers in this category, mostly with the aim of increasing your ability to make informed trading decisions. Almost all brokers offer charts with which to track your investments as well as market prices. These come in two forms, regular and T2 (real time) market information. Feeds: Regular feeds will have a 15 minute delay while T2 market information is live. Day traders hoping to make rapid profits on speculative investments in volatile markets will need T2 market information. Likewise, serious investors committing a lot of time to trading will benefit from T2 market information, as 15 minutes can make a big difference when it comes to large investments. Smaller, less experienced investors will probably not need T2 market information, as the trading volume and time commitment required to react to live price information will not be worth the potential benefits of a small investment. Brokers within this category also offer a range of market information and analysis which, although mostly available for free online, is nice to have well-organized and in one place. Educational Materials: Many brokers offer educational materials which are a great way to get to grips with stock trading; beginners should take full advantage of these, slowly increasing their risk-taking, in accordance with their understanding of the markets. Expert Advice: Some brokers offer an execution-only service and some offer expert advice. This can come in the form of "market experts" available on the phone to your own personal account manager. We would only really recommend most expert advice to large investors, as the cost of this advice may be more than the potential profits of small investments. We also advise you to take your advice from a range of sources, as those giving advice may have their own agenda. Experts may be looking to increase your trading volume and hence transaction charges collected by the broker, while advice posted on blogs and forums may simply be posted in order to induce a price increase in a certain holding. With both information and advice, make sure you consult a range of sources as well as use your own initiative. Despite all the convenience and opportunities that modern technology offers us in terms of online stock trading, there are still drawbacks and frustrations. Different brokers offer different platforms which vary in complexity and ease of use; some are overly complex while some are very basic, some can be very well designed while others can be user-unfriendly and frustrating. Make sure you read our reviews and check out any free demos in order to ensure that the platform the broker offers is likely to be suitable for you. One aspect that many users of online stock trading find frustrating is that of server speeds and platform reliability, especially in times of high market activity - times when access is most important. Following news events, servers may slow down or freeze completely due to high levels of traffic meaning that you simply cannot get rid of a stock that is crashing or buy stock that is rocketing. Brokers are generally obliged to reimburse you any loss incurred due to a technical error of their own, yet how easy it is to get them to audit this and pay up depends on the level of customer service they offer. Brokers can usually be contacted by phone, live chat or email, or a combination of the three. However, how courteously you are dealt with will depend on factors only measurable by personal experience. No matter which online trading service you choose (and don't forget that you are free to choose more than one), your capital may be at risk when you trade with your own real money online. Many of our top-rated trading sites offer demo accounts with demo money. This means that you can practice trading using demo money without incurring any risks. Any losses you incurr will be virtual (as will any profits you make, of course). You can use this important feature to become acustomed to the platform you're using and (if you're a beginner to online trading) you can use it to become familiar and comfortable with trading in general. This is an ideal way to learn what works and what doesn't and we highly recommend that you begin trading using demo money until you're comfortable enough with the markets and the platform to use your own real cash. Above all else remember this: all trading involves risk. Only risk capital you're prepared to lose. Past performance does not guarantee future results. Our reviews are for educational purposes and should not be considered as investment advice. Overall, if you think you can do better than your banker, stock trading can be a great investment, as well as an interesting experience. Doing it online, despite some technological frustrations, does make the whole process far more accessible and efficient; instant executions and almost limitless information at your finger tips is a fantastic way to more efficiently invest your savings. It must be noted that online stock trading does require time and an understanding of the markets. Without these it is best to just leave it to your banker. International markets are dog eat dog, with most profits coming from other peoples' losses. To avoid being a loser, make sure that you balance your trading ability with the risk you take, if not, you can wave goodbye to your investment. The online stock trading market is far from perfect with some cowboy sites out there and some representing out-and-out gambling dressed up as investment. Also, there still remains much room for improvement in terms of technology. Despite this, it still represents a far better way to invest in the markets than phone dealing and is far more accessible than the exchange floor. With Online Trading Websites' free demos, educational material, online information, and our reviews, your first move should always be to research which broker will be best for you. From there on, all we can do is wish you the best of luck in the crazy world of online stock dealing; remember, it's not about being right or wrong, rather, it's about how much money you make when you’re right and how much you don’t lose when you’re wrong!